The paper clutter struggle is real. We deal with paper on a daily basis and many of us have been saving paper for decades. How do we get rid of the paper we have, and stop the constant barrage of paper coming into our lives? Please keep in mind, this isn’t a little guide to the paperfree life. 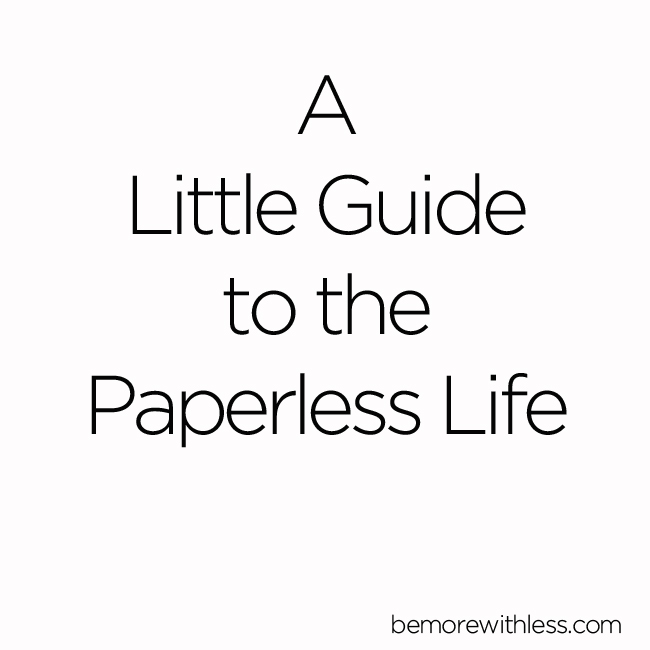 You will still need and/or want some paper, but once you begin to live the paperless life, paper won’t be clutter anymore. Turn on your favorite music or feel good movie and move all of your paper into one room. 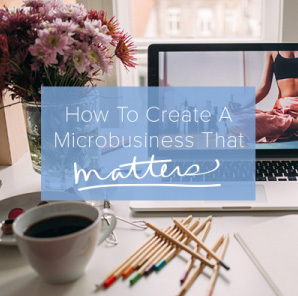 Bring in the filing cabinets, the boxes of papers you’ve been saving just in case, the piles on your desk, from your nightstand, and the kitchen table. All of it. You might need snacks too because this may take a while. First, set aside anything you need to keep legally, like tax forms or important documents. Next, admit that you’ve been holding on to the rest because you wanted to. I’m not judging. I’ve been there. The question as you go through each piece of paper is, “do you still want to?” If the answer is no, put it in the “shred or recycle pile.” If the answer is yes, put it in the “keep” pile. Remove the “shred or recycle pile” from sight and revisit your keep pile. Go through each piece in this pile again and ask “Do I want this and why?” If your why doesn’t make much sense to you, let it go. With your final pile of paper you are keeping, scan what you can and put the rest away. This approach takes more time, but is just as effective. Move all of your paper to one place and then commit to 15 minutes a day to work through the steps above. Snap and store your receipts and business cards with Shoeboxed. When I get a new receipt, I use the Shoeboxed app. I snap a pic of the receipt, save it to Shoeboxed, and toss the receipt. Shoeboxed syncs with my accounting program and saves the data for tax season. Don’t bring it in the house. When you get your mail, sort it outside by your recycling bin. Don’t bring anything in that you don’t need. When I got rid of my house, office, desk and printer, I mostly just stopped printing things. Most of the things we print are unnecessary. Try a 30 day printing ban and see what happens. If you are frustrated because you take so many pictures with your phone and never do anything with them, instead of printing them, share them on Instagram. It’s my favorite place to share images. If you share pictures of things that inspire your simple life, use the hashtags #bemorewithless and #simplicitystories. I often share these photos on my own Instagram stream and the hashtags help me find yours. You can see what I share here. Use Catalog Choice and read How to Stop Junk Mail. Be selective when sharing your mailing address. I haven’t found a full proof way to stop the junk mail, but it does not see the inside of my home. Go digital with banking and bills. Sign up for e-statements with your banks and check with your utility companies about receiving bills via email. Finally deal with those photographs. Sort. Toss the duplicates, bad images, and pictures of things you don’t want,need or remember. Scan or display the rest. They aren’t doing any good stuffed in a box under the bed. Trade your post-it notes for Evernote. While I still make lists on paper, Evernote is a solid platform I use to write notes, save files, and sync everything up between my phone and computer. Find one home to store your files. Once you are living the paperless life, you probably won’t need filing cabinets anymore, but you do need a safe place to store your files. If you have items stored in different cloud applications and don’t really know where things are, consider one safe place. I save everything in Dropbox. It’s easy to use, I can use it on any device and share files without email. Extract your best ideas and let them go. I burned two years of journals on January 1st and felt relieved when I sent my thoughts into the universe. Instead of saving every report card, and work of art they bring home from school, select a few pieces and display them on a “wall of fame” that rotates monthly, or create a meaningful collage. A digital photo book is a nice way to preserve those memories too. Parting with those old yearbooks, birthday cards, and love letters can be challenging. Save the thoughts, words and memories that are meaningful to you, and then let go of the past to make room for love in the present and future. Welcome to the paperless life. 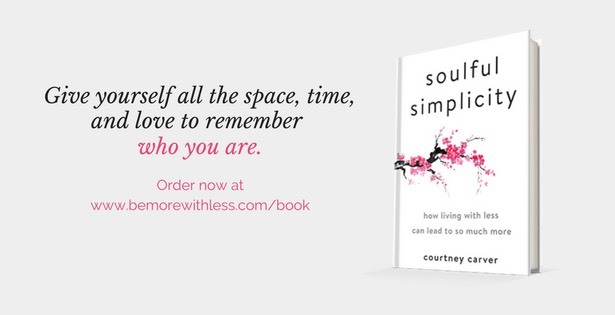 Courtney – this is excellent advice for an area of my life that still needs work. Thanks so much! Me too Jan – I’ve decluttered just about everything, however paper never seems to get a look in. On the other (digital) hand, I also feel like my Evernote needs a declutter of it’s own! I sold my home and I have 2 weeks to purge and pack all of my stuff. I get bogged down sorting it all. I need HELP, any ideas for a panic move? I have no outside help from family or friends and cannot afford to hire someone. Hi Chris, It sounds like good music will be your friend over the next two weeks. I’d connect with an organization who accepts donations and is willing to make a pick up. Then start filling one area of the home just for them. Really consider what you want to bring with you into this next stage of your life. Only bring your favorites and let the rest go. Good luck! That a task takes as long as the time you have to carry it out. Getting rid of most of my papers felt as good as paring down my wardrobe. But your list is so comprehensive! The idea of gathering papers from all rooms and dealing with them is awesome. After my printer broke, I did not replace it. The few times I needed a hard copy document, I found I could go to the local library for a few cents and print. Also, as my “baby” is now 36, I had several of her preschool masterpieces professionally framed and they hang proudly on my wall. I use the library for printing as well. More than 5 years later and it has never been an issue. It also tends out knitting kits and specialty electronics to try (and decide not to buy, in my case). I’m right there with you, Jill. After spending so much time over the years keeping them, I feel like I am being wasteful or disrespecting my old self or doing the wrong thing by destroying them. For me, the first step was to stop buying expensive journals just because I was going to keep them forever. Then I stopped feeling that I had to record those thoughts there but could use other (and more temporary) mediums. Now I am working up to just trashing them. I put those powerful thoughts on my desktop. After I read them a few times I either internalize them or they lose their power. Then I let them go. Almost effortlessly I’ve become paperless. When I moved home my printer refused to work. I thought I’d replace it when I needed to. That was six months ago. If I need a document when I’m offline I save it from the shared drive at work temporarily to the desktop of my laptop. That’s a great idea, weirdly enough I never clicked that having a printer would add to the clutter but I guess it really does. My flatmate recently bought one thinking we’d go halves but I didn’t want a bar of it. Good call on my behalf I guess, haha! I have recently been going through all the papers in my whole house. The goal was to have no piece of paper that wasn’t absolutely necessary, or wasn’t something I really wanted to keep. I haven’t always journaled, but I had quite a few years of journals and calendars with notes (starting 1998!!!!!!). Whew!!! It was time consuming to tear them apart and shred them!! My advice is to start before you have such a collection!! It felt really good to let it all go. I don’t usually comment, so I will take this opportunity to thank you for all your posts. I always enjoy them. Quite unrealistic. There are practical reasons for keeping things on paper: easier on the eyes, less of an Internet trail, no computer crashes for losing stuff….and on and on. Yes, don’t print the trivial but let’s not go overboard. Paper has been around for eons, computers less so – and one of those is changing daily so is less reliable and permanent. I run a paperless office and we use Dropbox and Google Drive to share and store documents. If those servers fail, then we’ve got bigger problems than finding paper backups. And as a former New Orleanian, believe me, I know the hard way that paper is no match for water, fire and mold. I have a small firebox at home now for our birth certificates and some paper bonds and a few family photos, I rarely get mail, and I’ve converted my office to the same systems. It can be done, and it’s now second nature to me. Try it! It’s actually fun. I love going paperless, Courtney. 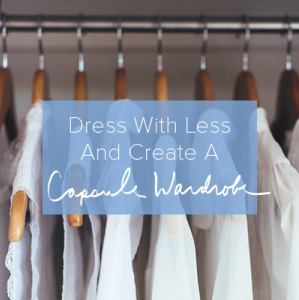 it is one of my favorite ways to simplify my life. Thanks for the tips! Courtney! Love that tidbit about journals… I might give that whirl myself – and for sure suggest it for my organizing clients! Thanks for the great post and super ideas! I have not owned a printer for years. However, I still find value in using paper journals for some projects. I also want my daughter to practice writing and art. I’ve been slowly whittling away at the collection of paper in my home, and we finally have it at a manageable level. We have a small firebox with important documents and half a banker’s box of documents to be scanned and shredded. That being said, my husband still has 2 large boxes of documents from his college days. For those with partners/spouses that were not initially on board to clear the clutter, what finally made them okay with getting rid of stuff? this is a tough one. i’m an artist so paper, fabric, paint, and art supplies are my passion. i’m wondering what other artists who have a sincere desire to live more simply do. soon, my boys will move out and i am in the process of downsizing my supplies so i can move my studio into one of their bedrooms. it’s a step in the right direction, but oh my goodness, i still have an overwhelming supply of….supplies! any advice anyone? The experts agree that you get to keep those things you enjoy. So going through your supplies from that point of view may help. Since you enjoy your art you may find you want all of it but some may not inspire you anymore. If you find yourself saying, “I really should work on that project one of these days,” you can probably get rid of that set. What did you mean by expretion “I sent my thoughts into the universe”. I am not native speaker and I didn’t understand it. Does it mean that you let it go? And in my case I realized one important thing from my paper clutter. I found out how I spent my free time during last years – it was learning English, training how to deal with difficult people or with people in general and healt food and exercise. These are areas which I want to impove in my life and I hope I will thanks to decluttering and simplying my life. I’m currently working to let go of 2,016 items in the year 2016. Paper clutter is one of my biggest challenges! The other day I came across a scrap of paper where I did a writing exercise about my grandfather. I found that posting what I had written on my blog allowed me to let go of the physical piece of paper. Of course that won’t work for all paper clutter, but it can keep the declutter momentum going when I come across something that’s a little harder to part with. I’m glad you mentioned photographs. I have a few projects planned for this year and that’s one of them. I have a box of pictures that I never look at and I just got a digital frame, so I need to go through them, scan the keepers and trash the hard copies. It’s going to be a lot of work, but I know it will be worth it! Great ideas for taming the paper! I want to downsize my family’s paper files and photos. The photos are tough. I actually signed up for a digitizing service some time ago and have yet to finish sorting which ones I want to send in to be digitized. Not sure why, but I am going to push through the procrastination. As for my journals, I’ve been journaling since I was a teenager and it’s gotten me through some very tough times. I’m not ready to part with them. Just started using Evernote recently and love it! Life without a printer, I will have to ease into that idea and consider it after I get all the excess paper out of my life. I’m starting this weekend. The funny thing is I bought a file cabinet (sitting in the garage) to house all our home office business paper files and I have yet to use it. Maybe that’s a sign to try paperless instead. Thanks so much for all the great suggestions. Thank you for the shoeboxes and dropbox ideas! Funny that I should find this tonight – I’ve spent a major portion of my day sorting and piling, shredding and recycling. I’ve made a lot of progress but almost feel as if I could go through a second round to capture anything that unnecessarily made it through the first time! Love your ideas! I’ve been going paper free one page at a time. It’s going really well. My little scanner helps a lot and saving to PDF vs. printing is my go to.